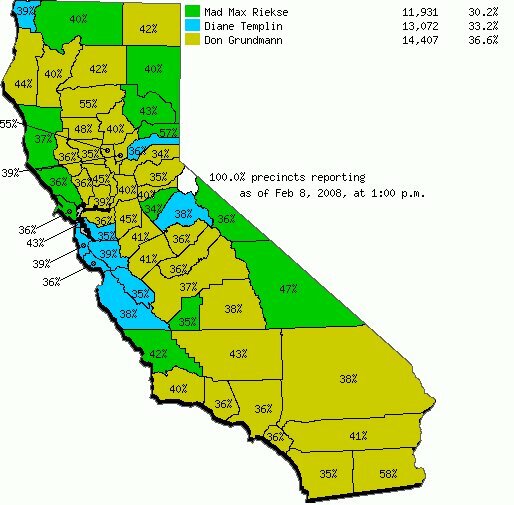 Don Grudman is the Greenish Candidate. He won the American Independant Party Primary. Mad Max Riekse was the green candidate. Steve Kubby was the greenish candidate. 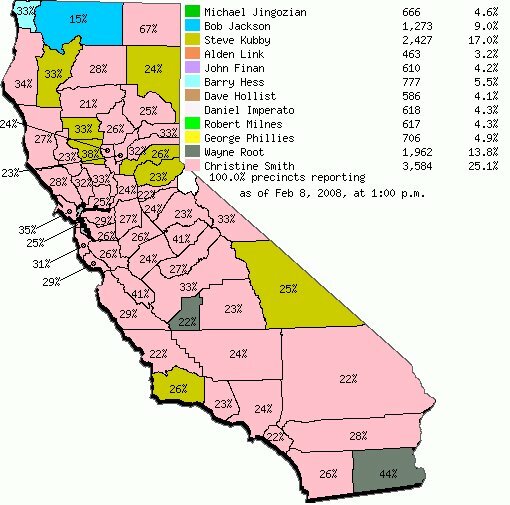 Christine Smith won the Libertarian Primary. 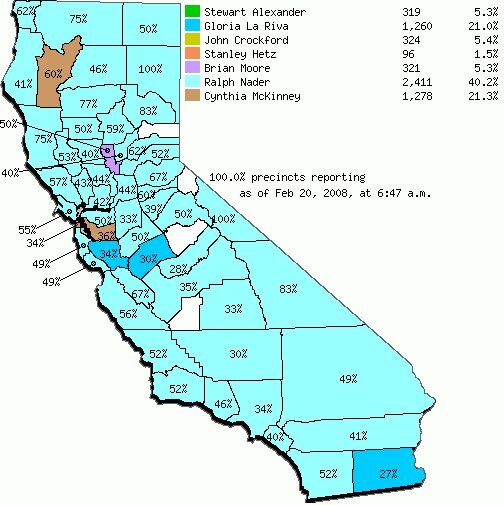 Cynthia McKinney took more Counties as a Peace & Freedom Party candidate then she got as a Green. P&F activists watched with bated breath as 2nd place wibbled from Cynthia McKinney to Gloria La Riva and then back to Cynthia McKinney. It was important because they didn't really want to give the nomination to Ralph Nader, considering he is probably going to end up on the Green Party ballot line and wasn't really campaigning for them.